Oooh I love her! She’s sassy, I can tell. Her look is a little more simple than some others, but it’s nice. And how the heck do you get the nape of your neck pierced? I have a new favourite, this girl is too cool and classy! 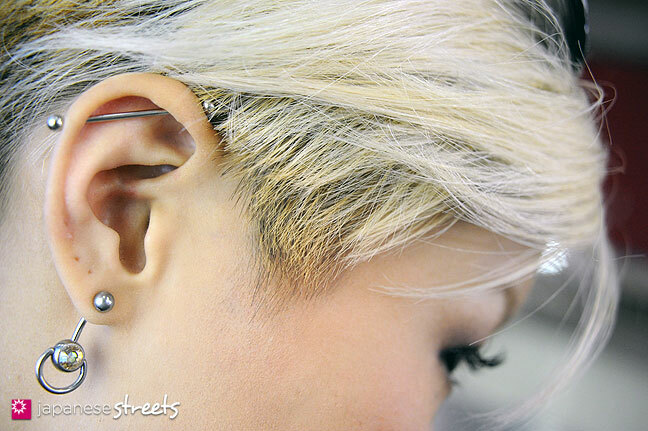 I love her piercings, her hair and she’s gorgeous. Her outfit is similar to the kind of style that I wear, love it! This is kinda prove that japanese girls are able to have bleached hair. And-it looks just great!!! I tried to make a copy of the second page, of the girl, with white hair. She moved from page 1, a simple warm smile. to page (or photo) 2, a pieced tongue thing. what I wanted was the scream. it is of interest to me. Thanks for the great comments. She is all you say: cool, classy, sassy. And a lot of fun! @artist: Thanks for the very nice words! By the way, all images on JAPANESE STREETS are available for licensing. We use a very simple 3 prices only system based on size. Small or Medium usually suffice for most needs. I have sent you a private message with more detailed information. 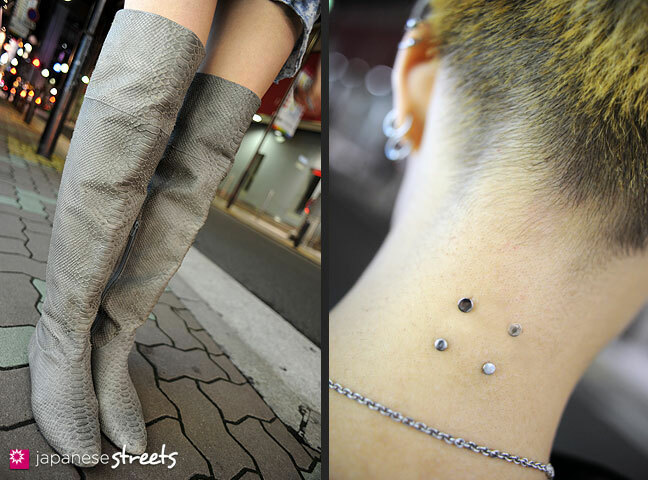 @nannaho: Haruka paid JPY 20,000 (about USD 200) for her nape piercing, so it is not cheap, but definitely affordable. i usually dont like piercing but this girl is stunning ! She looks so cool. Loves her looks. I agree, she is one of my favorite shoots on the site. 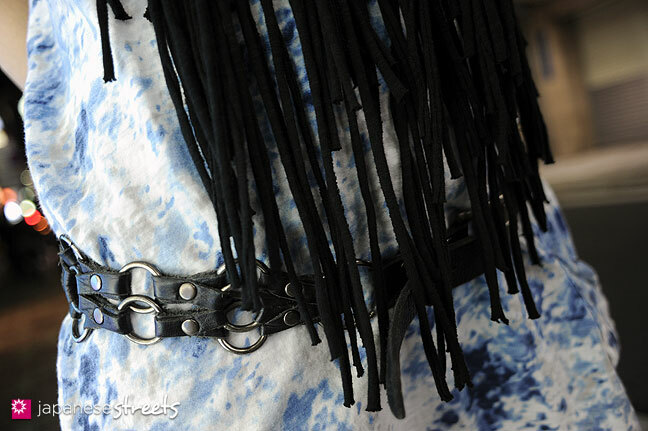 I like how even the tiniest details stand out in your photos, your an amazing photographer! @roro: That’s always great to hear. Thanks!